8-WEEKS TO BUILD HEALTHIER HABITS ROUND 2: SIGN-UP! 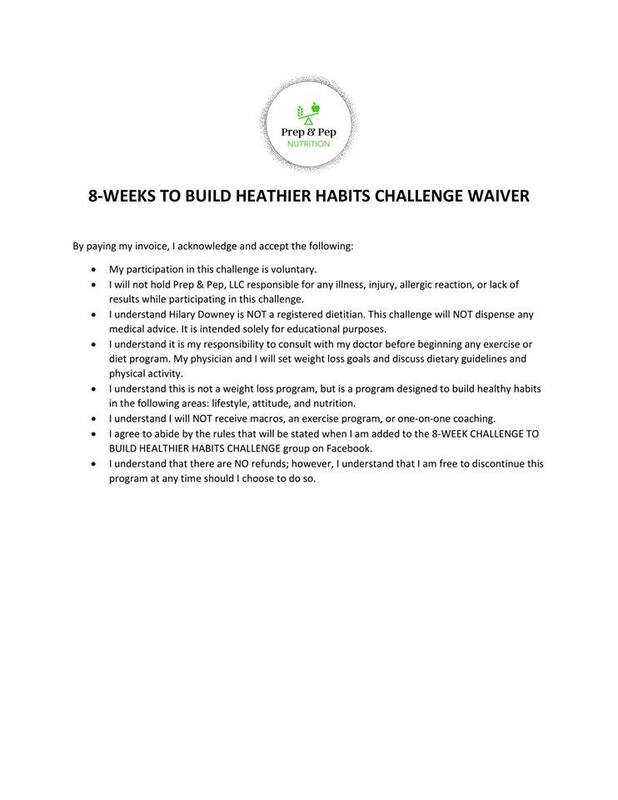 If you're ready to build healthier habits into your life, this challenge is FOR YOU!! be ready and willing to change your habits and improve your life!!! IMPORTANT: We will cover topics such as Meal Planning, Meal Prepping, Physical Activity, Time Management, Sleep, and more!! These are general healthy habits that can improve our day-to-day lives! If weight loss is your goal (yay you!) that is perfectly fine and can be shared, BUT NO weight loss measurements will be asked/taken/used for reward! Calorie and macro calculations will NOT be given; all nutrition information will be general guidelines and NO one-on-one coaching or messaging will take place; ALL communication will be within the group. TO PURCHASE THE CHALLENGE AND SECURE YOUR SPOT, CLICK THE PAYPAL BUTTON BELOW! 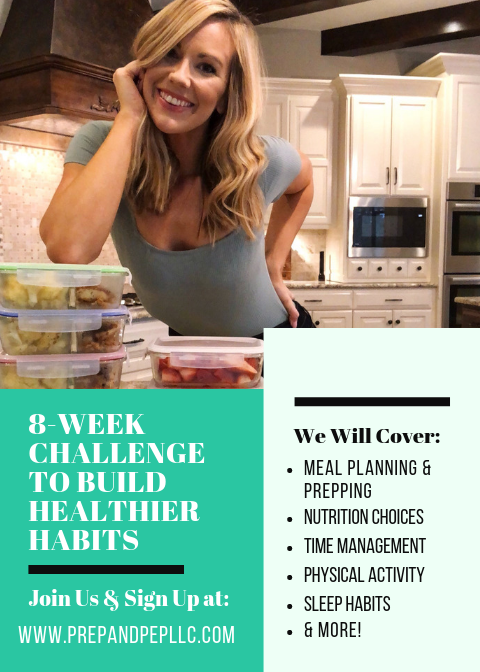 8-WEEKS TO BUILD HEALTHIER HABITS CHALLENGE: Round 2!